A beautiful ride up a brand new road with excellent views of the Callaghan Valley, site of the Olympic Ski Jumping and Nordic events. A long-time locals favourite, this ride is mostly downhill to Pemberton so be sure to save some energy for the ride back to Whistler. 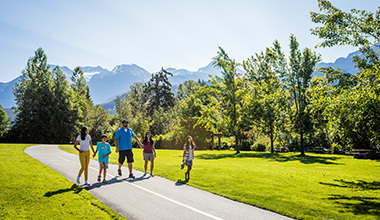 Starting in Pemberton, an easy 50km loop can be made by riding up to the end of Pemberton Meadows and back. This ride is generally sees little vehicle traffic and takes you past the picturesque farms of Pemberton Valley. The views of Mount Currie on the return leg are stunning. Another local favourite with some excellent hill-climbing. This ride does a loop of the valley, taking in nine climbs of significance. From the Village head north to Emerald, then back through Alpine Meadows to Alta Lake road. Ride south past Rainbow Park and up to the top of Stonebridge. Continue south on Alta Lake road, crossing Hwy99 to the climb up Kadenwood. From here the ride head back north to the Village, taking in the climbs of Bear Ridge, Taluswood, Panorama Ridge, Base 2, and up Painted Cliff road. The mother of all climbs! From Lilloet Lake to the Joffre col, this ride climbs 1,000m in 15km. Depending on your fitness level, you can start in either Whistler or Pemberton or continue all the way to Lillooet. Although this section of the highway sees heavy traffic, recent upgrades have created a wide shoulder on which to ride. Even though the route is mostly downhill, be aware of the strong wind that often blows up the valley – it can make the final descent into Squamish harder than it seems! Visitors are welcome to sign up for weekly group rides with the Whistler Cycling Club. Thinking about getting into the spandex and skinny tires scene? 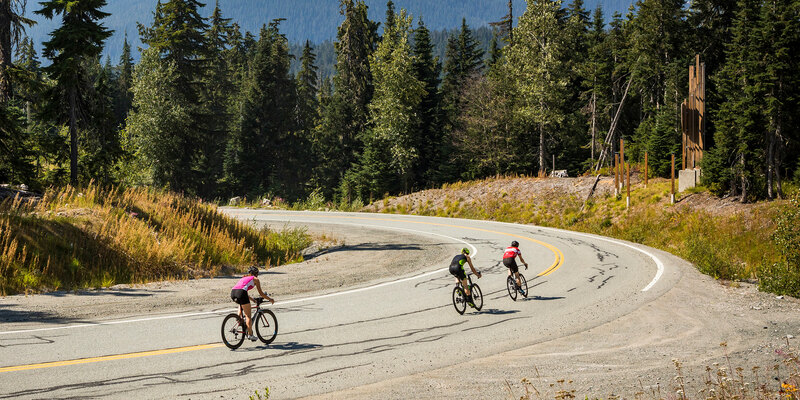 Whistler is a road cycling paradise - discover why with the Insider. Here every cocktail hour, meal and snack is a special occasion. 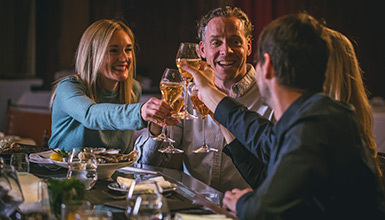 Taste your way through Whistler's culinary scene and food-tastic events.